This apparition was seen in the Kitchen, spewing ectoplasm. About half of the kitchen ceiling is beneath the roof deck above, so we are using a "flash" coat (3 inches) of spray foam on the underside of the decking to prevent condensation. 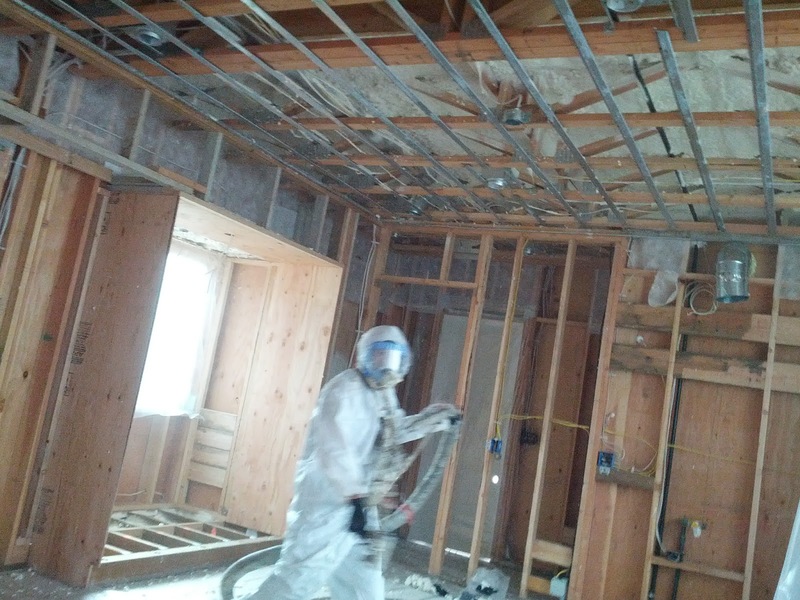 The rest of the ceiling void will be filled with cellulose.